Your domain is your digital street address. Even if you throw a fresh coat of design on it, get the wrong address in the spammy part of the neighborhood, and you could be losing customers before they ever see your website. Get the right one, however, and your address opens the door for visitors to come in and stay a while. It instills a sense of professionalism and polish that starts at the address bar. And with almost 2 billion websites in circulation, the competition for the perfect domain name is fiercer than ever. So how do you pick out the perfect name for your website? We’ve got eight tried-and-true tips for making sure your domain name is perfect for your goals. Startups should be focused on growth, not trying to fix WordPress issues. Kinsta’s hosting solution features 24×7 support, automatic backups, and tools that make management a breeze. Without further ado, let’s talk about what a domain name actually is and why a rose by any other name isn’t quite as sweet. Now, let’s take a brief interlude into history to answer the Shakespearean question: what’s in a domain name? In the (very) beginning of the internet, domain names weren’t initially used. Instead, users associated IP addresses with specific websites and typed in a string of numbers like 192.168.0.1. This, obviously, became pretty impossible to manage once the internet started to grow. Words, far easier to remember than that number string, came into circulation as a new method for reaching websites. And so domain names were born. Keeping with our address analogy, your domain name is the address of your website, but the IP address — which the Domain Network System communicates with — is the GPS coordinates. Both can take you to the same place, but one is much more effective at being found by humans. Take, for instance, this address: www.dogs.com. A strong domain name like the above example helps people find your website without any intervention. No complicated number strings or search engines necessary. Unfortunately, you’re not likely to get much traction with this approach in the modern age with almost 332.4 million registered domains. Dogs.com was registered back in 1998. But just because you can’t get one-word steals like the above doesn’t mean you can’t come up with a great domain name. Here are the eight strategies we’ve seen work. Domain names came to be because humans have limits on their memory. While you can skip digging into the neuroscience, you should keep these limits in mind when choosing your domain name. Specifically, the more stress you put on working memory, the more humans struggle to complete tasks. There’s a “buffer” limitation on the information the working-memory can retain. And while this seems like a pretty common sense limit, it’s not as clear-cut as it sounds. 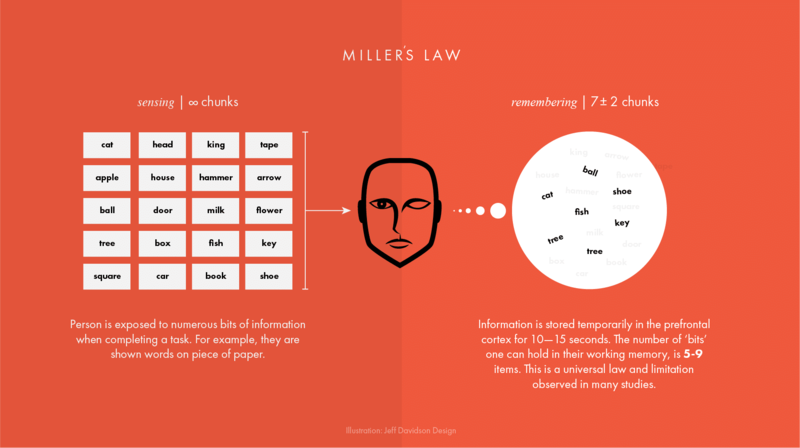 How “items” fall in human memory depends on the items themselves and whether they associate with any other memory systems. Which means that, although a website address like “www.catsdogs.com” is significantly longer than “www.animalia.com,” it’s probably going to be easier to remember for most people. Obviously, this example falls apart if someone has a background in biology, but it illustrates the point I mean to make. What’s easy to remember isn’t always about concision, as recognition can trump concision. The more recognizable the elements of your domain name are, the easier — and therefore more usable — your address becomes. As a rule of thumb, try to keep the elements involved limited to no more than seven. Often referred to as “Miller’s magical number,” a multitude of studies conducted over the last few decades have found that the limits to short-term memory “chunks” (elements) is seven, plus or minus two. But, given the “buffer” deterioration people experience when made to remember more items, if you can pare it down further than seven, that’s even better. Especially for our next strategy. 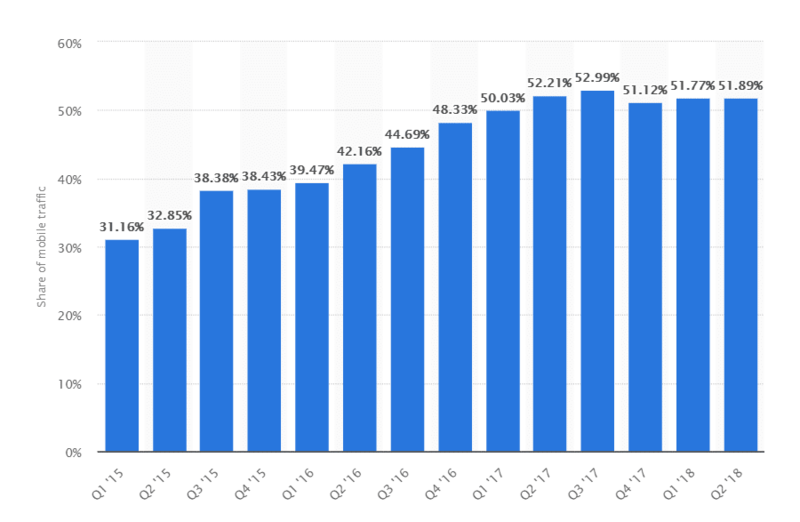 Mobile devices drive 51.89% of internet traffic as of the second quarter of 2018. At least half of the people using your domain address are going to be using a mobile device to get there. Which means you need to think about all the autocorrect-victims of the world and make your domain as memorable and concise as you can for them. Examples of easy, mobile-friendly domain names that come to mind are Google and Bing, respectively. They’re short, simple, and everyone knows how to spell them. Far less mobile-friendly examples include Martha Stewart’s website and the infamous Comic-Con’s homepage. Although both of these domain names hit the mark for memorable, they lose points for being an easy typo, and in Comic-Con’s case, requiring users to switch between their digital keyboards to type. So, when you’re picking your domain name, try it out on your mobile phone first. How easy is it to type? 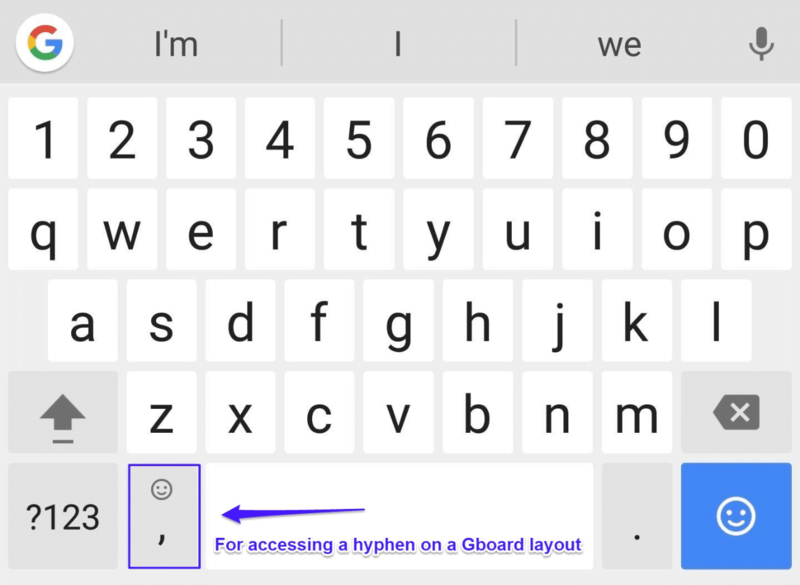 If you’re an expert-level phone typer, have someone a little less savvy try it out on your phone. Now, let’s change gears a little bit and talk SEO. Keywords in domain names are a lot like powdered sugar on waffles. A nice bonus, but not a necessity. If you can, and it makes sense to use a keyword, you should. On average, 63% of top-performing domains have keywords in their URL. 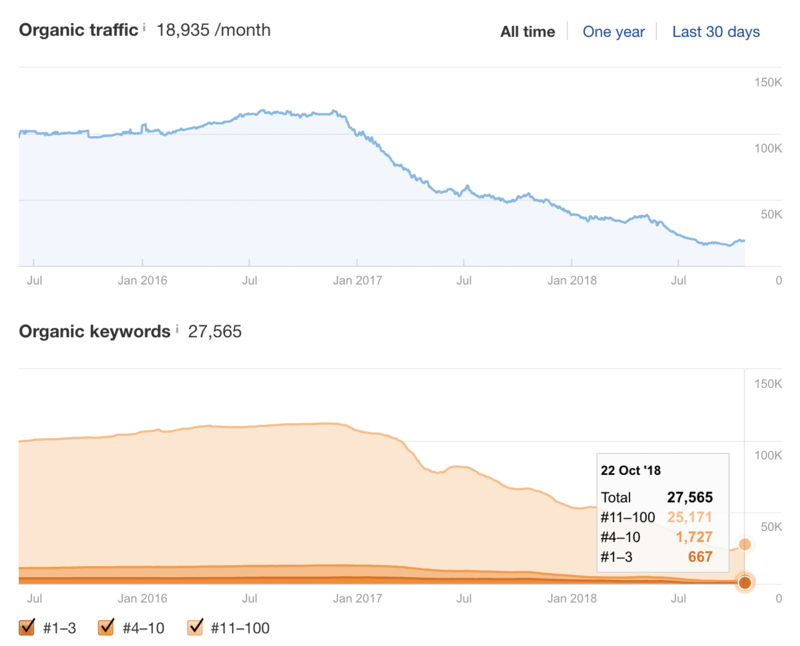 But, if you can’t work a keyword in, they provide a very minimal boost to your SEO, if at all, and should be carefully weighed when you’re considering reworking your strategy to include them. They don’t carry the weight that they used to and have negative associations (with users and search engines) that you should avoid. So, powdered sugar. Good to add in moderation, but unnecessary, and if abused, likely to end up with disappointing results at your next website physical. As a note of interest, however, anyone looking to open a website in the gambling or gaming industry — specifically the Fortnite niche — will want to move fast. 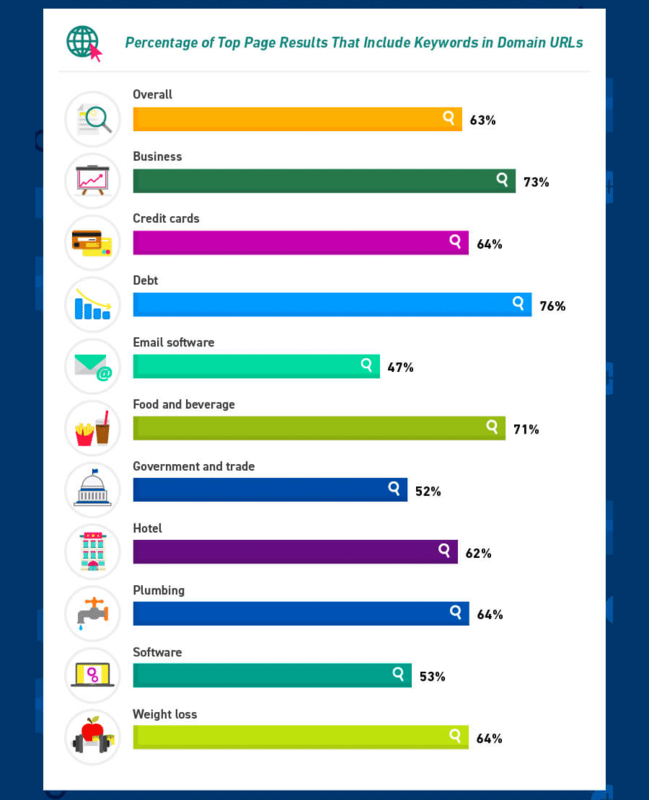 According to Verisign, these keywords are going like hotcakes in Q2 2018. Otherwise, stick to what makes sense, and prioritize memorable, typable, and brandable (that’s our next tip) well above keywords. No domain name strategy list would be complete without talking about the importance of branding. 77% of customers make purchases based on the brand attached to the product. What’s even crazier is that 90% of those decisions are thought to be made subconsciously based on brand associations with positive feelings. Examples of highly-branded domain names include Amazon, IBM, and Tesla. But if you’re struggling, there are marketplaces for this, albeit at a pretty penny. Brandpa is one such marketplace. Its lowest ticket item will run you $1,000. On the other hand, that price tag isn’t slim for a new website. For a slightly more cost-effective solution, you can check out BrandDo, whose marketplace offers more triple-digit entries. So, we’ve covered the importance of memorability, mobile-friendliness, keywords, and brand-readiness for your domain name, but there’s one more factor to consider — ideally before you register. You’ve registered your domain name…but lo and behold, a few weeks later you receive a cease and desist letter from the law offices of someone who makes five times as much money as you every thirty seconds. It’s not a pretty picture, but it’s not an uncommon one, either. Making sure your potential domain name isn’t trademarked is an absolute must if you want to avoid getting caught in unwanted litigation. Fortunately, it’s pretty easy to check. 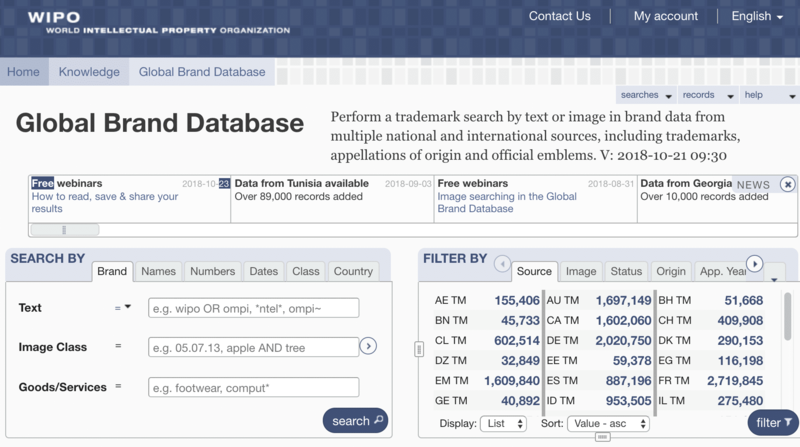 For websites that will operate in the US, you can check for trademark status by searching the United States Patent and Trademark Office’s website. That said, it’s a good idea to check a secondary source, as well. Navigating the USPTO system isn’t as straightforward as alternative sources like Trademarks411 or WIPO. And when it comes to legal bases, it never hurts to cover them twice, right? Especially when “faith” can be a deciding factor in domain name case law, as Bloomberg discovered. Other things to keep in mind when considering trademarks is consumer confusion. If your domain name could reasonably be confused with another domain it competes with then you could have a losing arbitration on your hands. Simply put, don’t take the risk. Additionally, if your website will operate outside of the US, now or in the future, you’ll want to get familiar and check trademarks in those respective countries, as well. This brings us to our last strategy for choosing your domain name: figuring out what ends it. The great .com is still the king for domain extensions, for both SEO and memorability. But there are a lot more domain extensions than there used to be, and if used strategically you shouldn’t have any problems. They’ve got pretty explosive growth, actually. 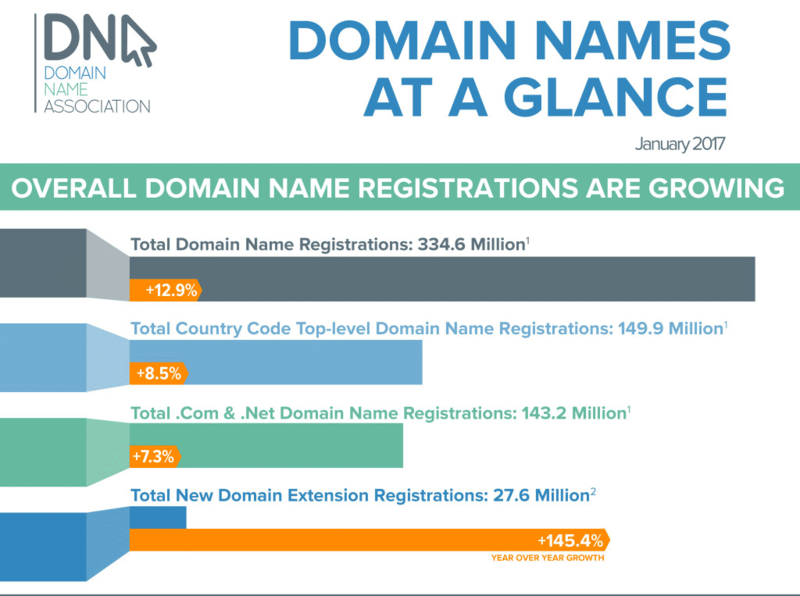 New, “non-traditional” extensions grew by 145% from 2016 to 2017. So while .com claims the crown, for now, trends are changing in the extension world. And that’s good news for a new website. Because the new domain suffixes — the .xyz, .tech, .nyc, etc. — are by far more affordable than the traditional top-level domains. And affordability is a factor that, unless you’re a monster conglomeration, has to be balanced against the other elements. If you can snag a .com for a decent price — it’s possible — you should go for it, as long as it meets all of the other requirements outlined here. If not, you’re better off going with a new domain extension. Given the trend, the acceptability of it will only increase with time, similar to domestic wines. Wondering where to register your new domain name? Check out places like Name.com, Google Domains, NameCheap, and eNom. Ultimately, the litmus test for an extension will depend on how closely your domain name adheres to the other factors outlined here like brandable, memorable, and typable. If it’s not very typable on mobile or memorable, you really can’t afford to skip the .com, but if it is, .co is becoming increasingly popular in the commercial sectors and mid-level websites. This wraps our strategies for choosing your domain name, though the next one could be considered a bonus strategy. If you’re having trouble coming up with a name, there are a variety of generators out there that can make it easier. Let’s run through a few now. 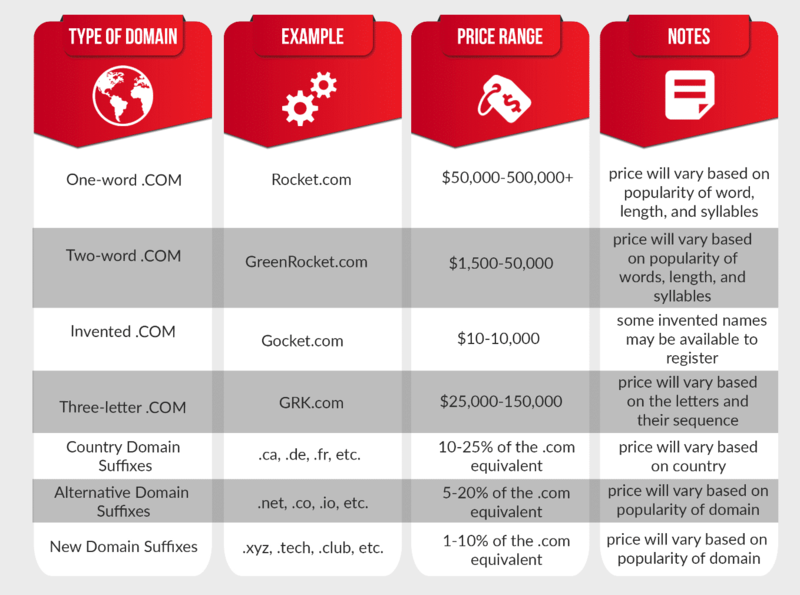 Trying to come up with a domain name that meets all of these requirements can definitely be easier said than done. Fortunately, you can put some of the responsibility on a generator if your creative team needs a break. 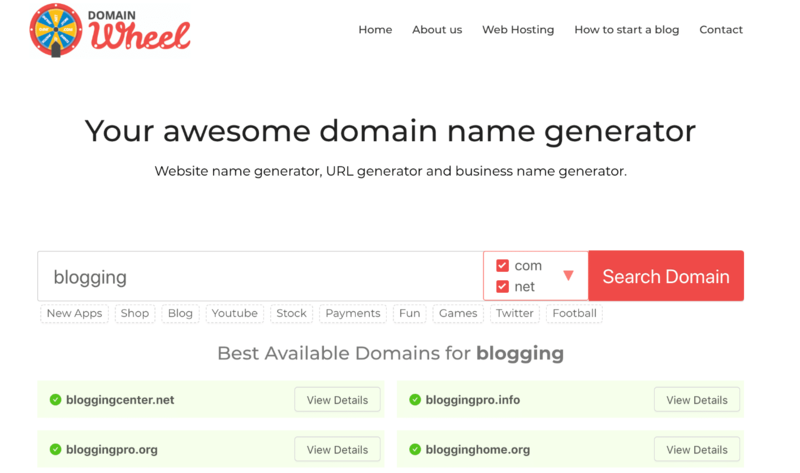 DomainWheel is a simple and easy to use domain name generator created by the awesome team over at ThemeIsle. Just input a keyword and check out all of the available domains. It even outputs domains that sound like it, rhymes with, and random suggestions. 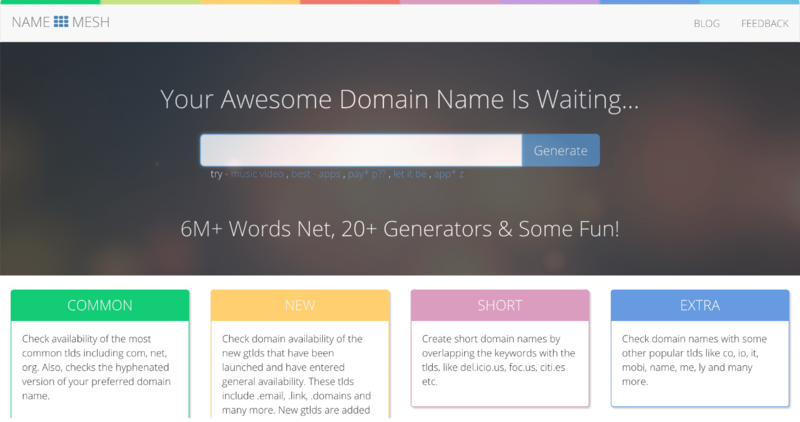 Offering multiple generators — including SEO-based suggestions, short names, common domains, and new domain extensions, NameMesh is a plug and play tool that takes a word and gives you every possibility you can think of. If you’re in the music tech industry, you may want to snag that domain name ASAP. 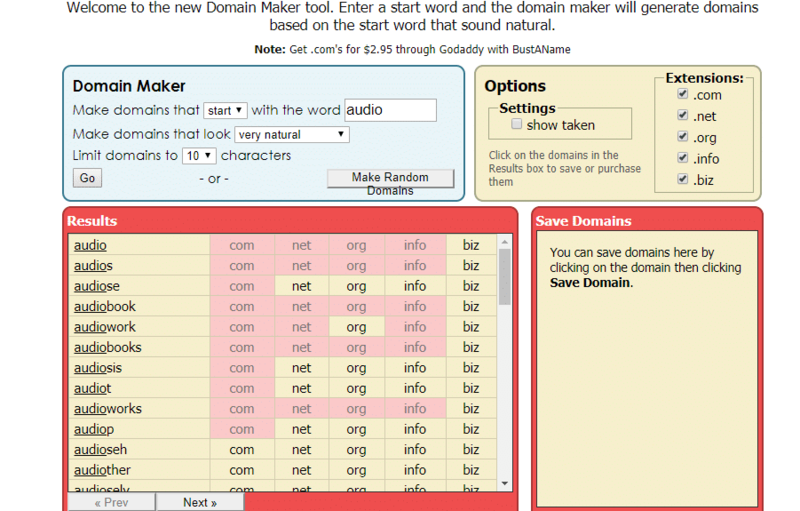 Including an enviable domain name of their own, Bust a Name is comparatively bare-bones in design when put up against NameMesh or DomainWheel, but the results are far faster and very creative. You just type in a word, select your extensions, hit the button “Go,” and wait for the results to tab up. What it lacks in design, it makes up for in clever suggestions and simplicity. And remember, if you find a domain name that’s great with one of these tools or change your mind, you can always transfer your domain over without losing all of your SEO benefits. Authority backlinks. Use a tool like Ahrefs to check existing backlinks. High domain authority (Moz) and domain rating (Ahrefs). High PageRank. Google still uses PageRank internally. Even a little boost can get you jump started and ranking faster. You can use a tool like Expired Domains or Flippa domains to find these. However, you should also be very careful when going with this strategy. First off, make sure to check for any existing trademarks. Second, if the domain is currently being used by an existing brand that you are trying to acquire, make sure to check out its traffic patterns. A constant downwards trend could possibly mean it was hit by a Google penalty at some point. Or it could simply mean that they stopped working on the domain. Third, check out the domain’s current backlinks with Ahref’s Site Explorer tool. If a lot of the backlinks are from spammy sites this is not a good indicator. It could mean that the domain/website owner at some point paid for backlinks or even had a negative SEO attack against it. Again, when it comes to acquiring an existing domain, make sure to check all aspects of it. If you don’t know how, there are plenty of great SEO experts in the community you can hire. Domain names are your digital street address. They can significantly shape a visitor’s perception of your brand. Unfortunately, most of the one-hit names like “Dogs.com” were taken up in the early days of the internet. But that doesn’t mean you can’t find a great domain name for your new website. Add keywords… but only if it makes sense. Go for a brandable domain name — they’re valuable and easier to land than broad terms. Make sure you don’t step on anyone’s registered trademark in the process. Choose the appropriate extension. While .com is still at the forefront, the newer — and far cheaper — extensions are becoming more popular by the day, so they may be worth considering, too. 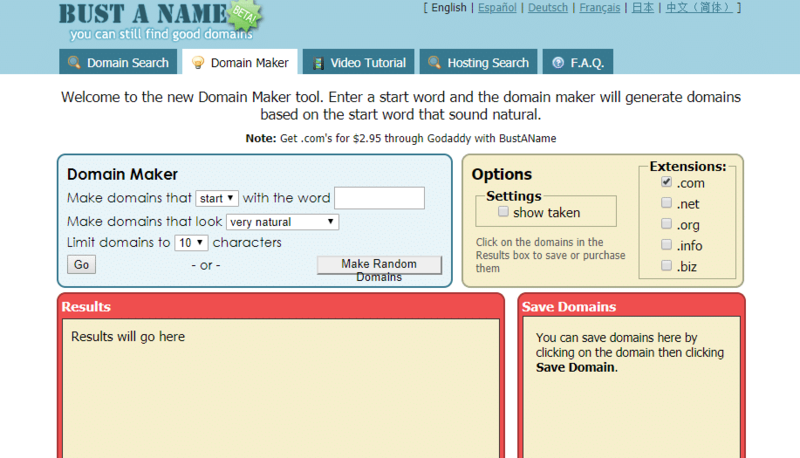 Use a domain name tool generator if you’re stuck racking your brain for a name. Think about jump-starting the process by acquiring an expired or existing domain. Finding the perfect domain name is a lot like finding the perfect song. What works best for your business and resonates most with users will inevitably change. But following these eight tips, you’re sure to have a domain name that stands the test of time. The post How to Choose a Domain Name (8 Tips to Stand Out) appeared first on Kinsta Managed WordPress Hosting.